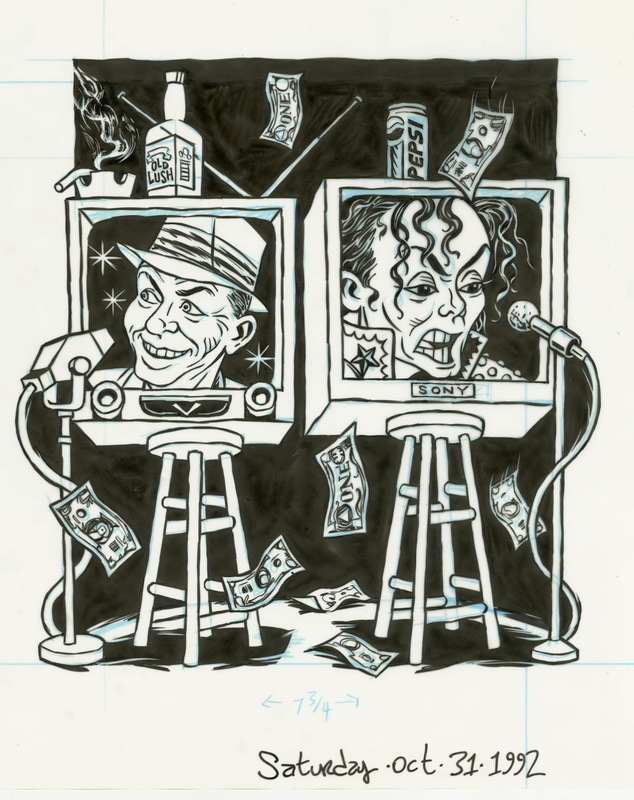 I'm pretty sure this Sinatra-Jacko illo ran in the Voice. I don't remember who assigned it to me, but it was during Robert Newman's tenure as Design Director. Ink on denril vellum, 10/31/92.